Thought it looked like a cute app. I’m a new mom and I thought that I’d give this app a try after seeing many ads for it. I didn’t realize that I’d have to pay to be able to do more than 2 activities on it with my son. Maybe I’m just being cheap, but I don’t make much money and I’m always with my son and the guidance on good activities to do with him at 3 months old would’ve been great. What I love about this app is that it has taught me games and developmental puzzles for my baby. By me learning how to interact with her to best support her development it has helped our bond and communication. I consider my husband and myself to be thoughtful and positive parents but this definitely enhanced how we view the importance of directly engaging in meaningful and intentional development. 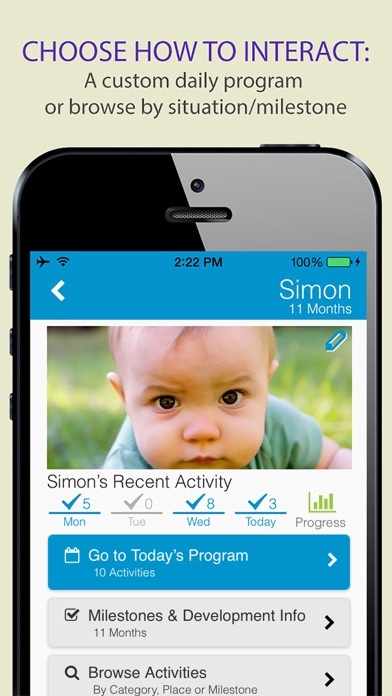 I purchased the lifetime membership in this app when my daughter was first born 9 months ago. I didn’t use it much at first and I am busy so I try to use it when I can, but there have been weeks where I don’t touch it. I have noticed that when this happens my membership seems to be shut off and I have to email asking them to turn it back on again. It’s been 9 months of having to send emails every other month to reinstate my membership and I am very frustrated because this happened again last week and I still can not access the content that I paid for. I really like the programs and now that she is getting bigger I really feel like I can use this to help teach her. However, when I am not able to access the content she misses out because I can’t count on the app working all the time. I just want to be able to open up the app and not see locked content when I paid for a lifetime package. I don’t understand why we have to purchase so many simple things. Like head control I immediately uninstalled just based off that. 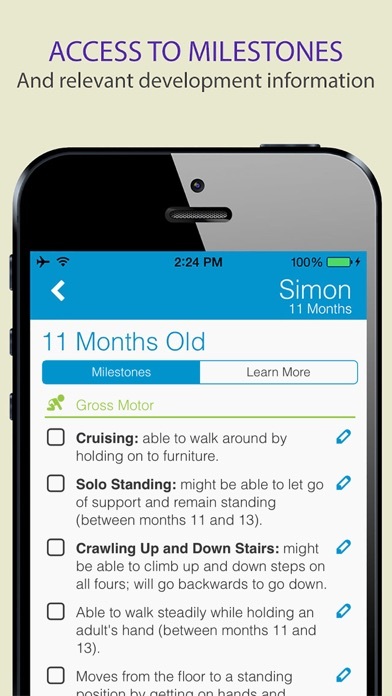 Best baby development app ever !! This app repeats the exact same exercises for weeks at a time. I understand the value of repetition, but come on. Also, the suggested activities are vague. For instance, sing your baby a song. Or Place a toy just out of your babies reach, encourage him to reach for it. Yawn! 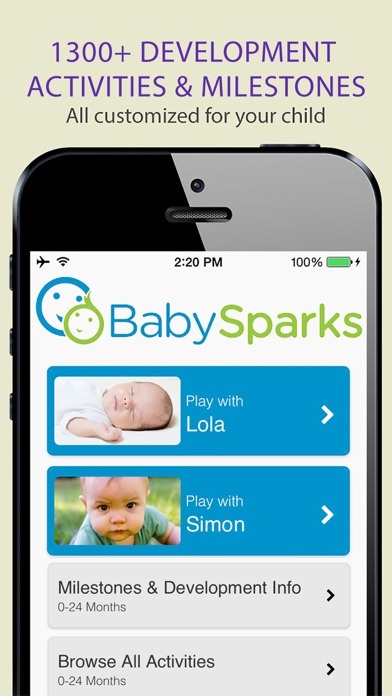 The app doesn’t spark my imagination or give any specific suggestions on engaging the baby. Not only is this a great tool for teaching children but for parents as well. 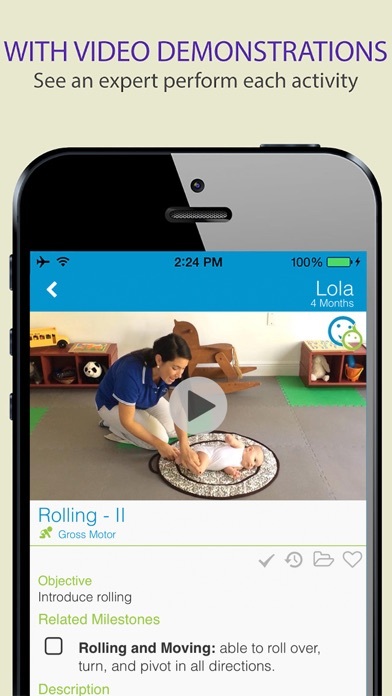 As a mother of two children one needing speech therapy the other needing physical therapy this app is amazing. It has a lot of exercises from our therapy classes and more. Videos that show exactly what to do and how to do it. Clear labeling of what the exercises works on I.e. fine motor skills, social skills. 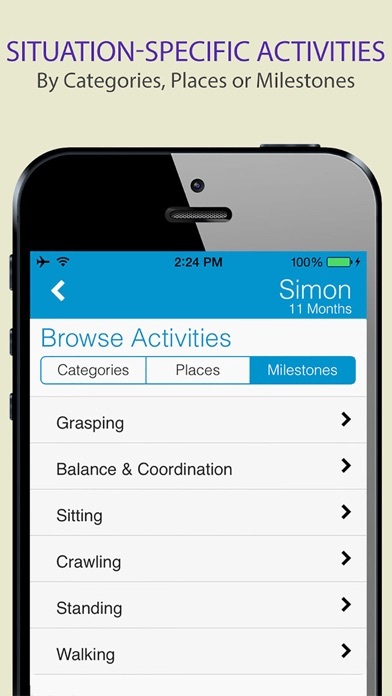 It has easy to follow daily tasks, progress reports, and you can tailor what you are working on to where your child is. It has reading material, age appropriate milestones, parenting guides and tips. I love it, my infant loves it, my toddler loves it. I could not be happier!